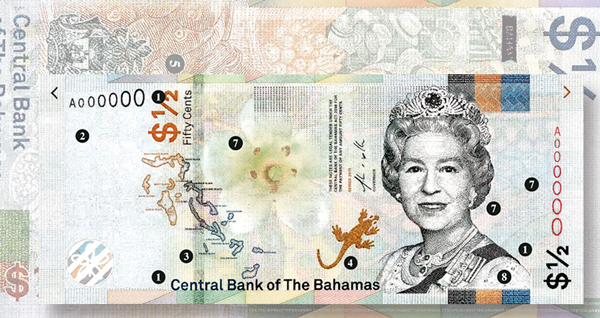 Images courtesy of Central Bank of the Bahamas. The Bahamas released the fourth member of its new bank note family, the CRISP Evolution half dollar note, on Jan. 24. CRISP stands for Counterfeit Resistant Integrated Security Product.